This was the grim headline in the Southend Echo of Saturday 3rd October 2015. 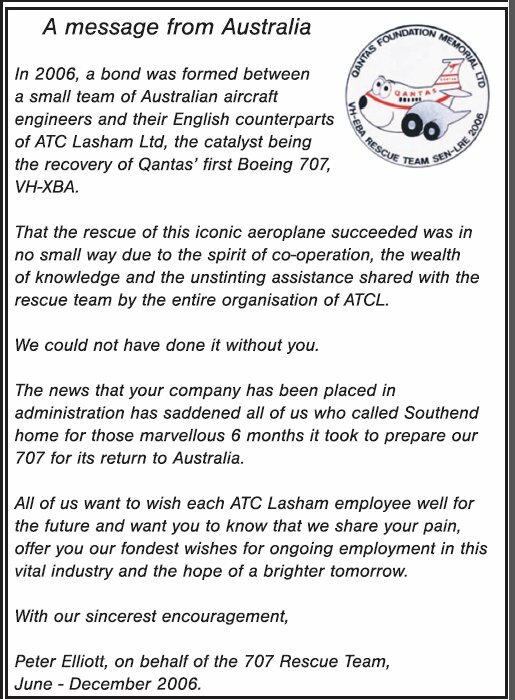 It will be remembered that the management and staff of ATC Lasham played a vital role in saving VH-XBA. This sad news prompted members of the 707 Rescue Team to place the following tribute in the Echo of 27 October 2015.